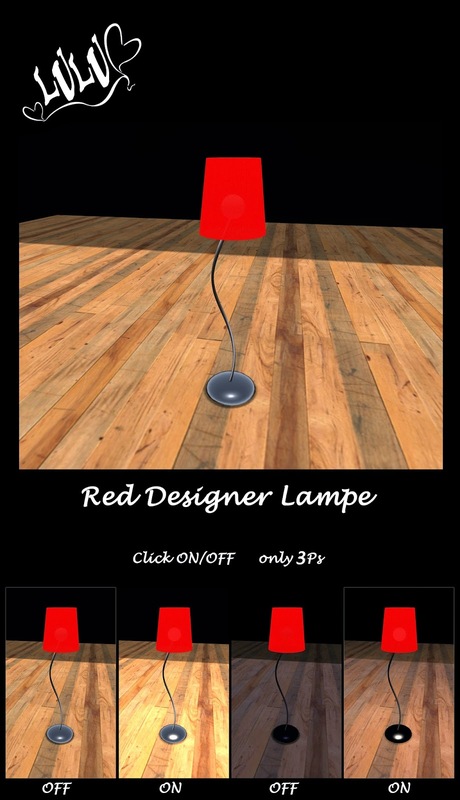 this is my Red Designer Lamp. Its elegant and slim jet classic design is a tribute to any home or shop or maybe a classy club. Click the light bulb to turn it ON/OFF. This will light up any room or outside areas. See the Pics above, they will give you a better idea of the light strengths.